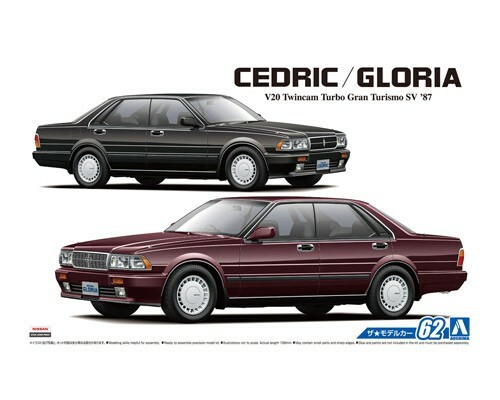 Introduced in June 1987 as the 7th generation Cedric and 8th generation Gloria, the Y31 series were as a full model change from the previous Y30 series. Compared to the Y30's straight design, the Y31 was given a curved design and its elegant form soon became popular. 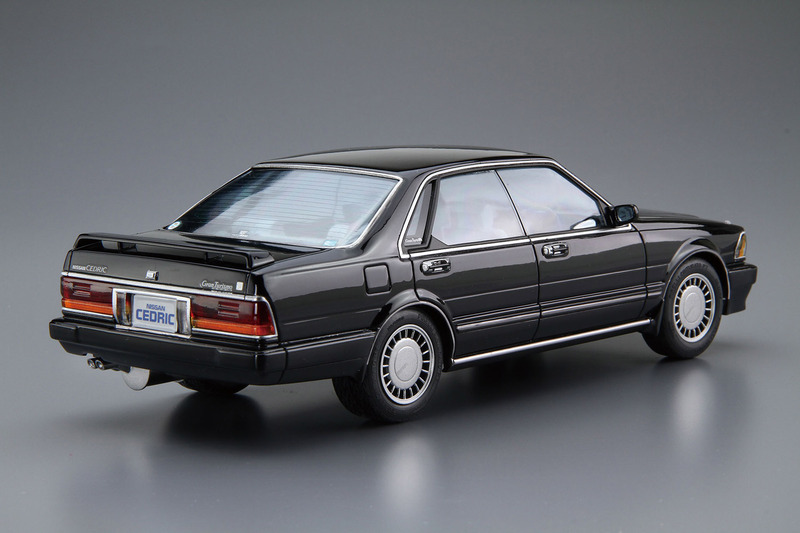 The Y31 was equipped with its family's first DOHC engine, and the newly applied Grand Turismo model became a milestone for the luxury Cedric/Gloria lineup. 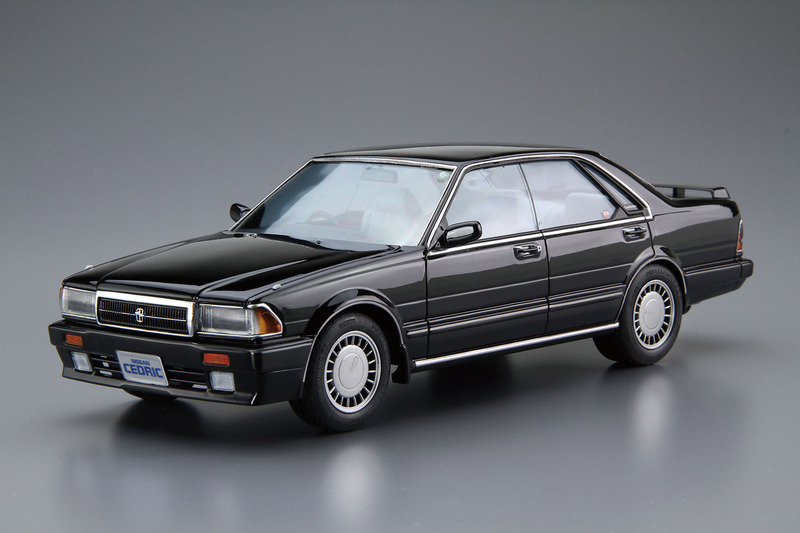 This kit replicates the Y31 Cedric/Gloria Grand Turismo SV in its catalog specification. The kit is selectable between Cedric/Gloria, with addition of lowdown parts and aero parts. Also, a realistic chrome finish is applied to the front grille.